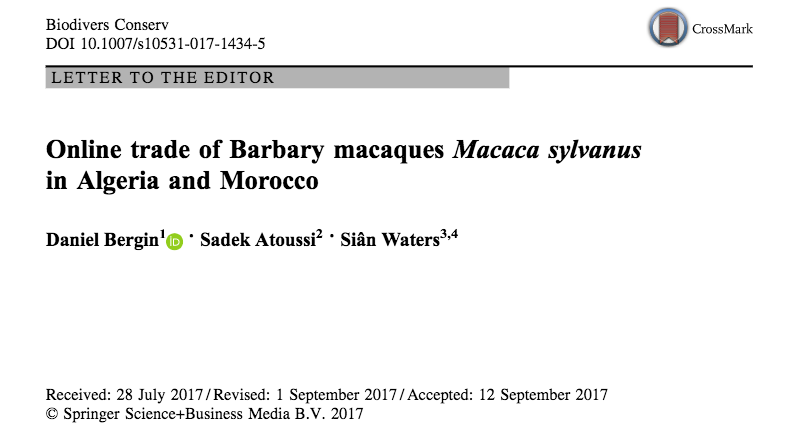 Home > Feature stories > New publication on Barbary macaque trade. Great efforts – analyzing current situation and what is needed. I kindly ask if there is an arabic version to use to raise awareness in my country Egypt – illegal trade of Barbary Macaques takes place.